As you no doubt know, Research In Motion is placing all their hopes into one basket, and relying on BlackBerry 10 to get them firmly back into the smartphone arena. However BlackBerry 10 handsets might not turn out the saviour devices RIM expects them to be, well at least one analyst thinks so. Bloomberg Business Week is reporting that Pacific Crest analyst James Faucette has an equivalent of a sell rating on BlackBerry shares, and states that they believe that BlackBerry 10 will be dead on arrival, and expect RIM’s latest operating system to be received with lukewarm response, and likely to fail. 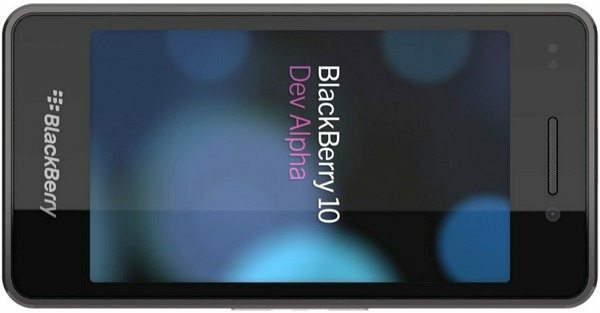 Last week Research In Motion shares rallied when the Canadian company stated that carriers had started testing BlackBerry 10 smartphones globally, which was seen as a sign that BB10 was still on track for release early in 2013. Gabriel Leung of Paradigm Capital wrote in a note today that Research In Motion has significantly improved their ability to pull in developers to build BB10 applications, something they see as a ‘key catalyst’ for success. However Faucette is bearish saying that handsets with the BB10 software arriving in Q1 of 2013 will struggle to attract buyers, the reasons given for this is because those devices will have an unfamiliar user interface, a lack of apps, and a lack of compatible tech. Faucette further added that any opportunity for the sale of part or all of the firm may have passed. So is seems that one analyst believes BlackBerry 10 devices will struggle in the mobile space once RIM actually gets them out in the mobile space. But what do our readers think, do you think it is too late for BB10 to be a competitor, or do you feel BB10 will actually be a big success for RIM? BB10 will indeed be a success!! I’d say that this analyst is either trying to push prices down so he can invest at a lower price, to capitalise on an upside. Or he doesn’t understand the desire [within users] to adopt new stand-out user experiences. BB still has a BIG following. Just because a few Canadian bureaucrats opt for iPhones – doesn’t mean that FUTURE buyers of enterprise mobile comms solutions will turn their noses up at something that is SUPERIOR to the security in Andoid & OS. Meanwhile, the average person only uses a few of their apps regularly. So long as RIM get the right developers porting their APPS to BB10… they’ll be quite fine. The the developers will follow if their apps are needed – whilst BB 10 is a productivity platform, not a gaming platform. They will certainly regain a large if not larger portion of their old market share. I really think this guy is trying to manipulate the share price for his own gains. Blackberry created the smartphone market and they will again be leading the way as BlackBerry 10 will take mobile communications and computing to a whole new level. People will want the best tool for the job and that is and will be BlackBerry! Coming in late here, but I hope that BB10 succeeds. It is orders of magnitude better than what’s out there at the moment. I tried iPhone 5 – good, but the trays of icons are boring and leaves me desiring more. I tried Galaxy Nexus (couldn’t buy a Nexus 4 – sold out), okay, but still laggy in many places despite Project Butter. I even tried Windows Phone [insert crickets.wav here]. QNX is the way forward. The Cascades UI framework is something spectacular and will enable professional RAD (Rapid Application Development) on this platform. I for one will be rushing to buy one of these bad boys (when they’re finally released).